The FCID has filed money laundering charges against Parliamentarian Namal Rajapaksa, for purchasing shares from HelloCorp for the sum of Rs. 45 million. The FCID filed charges after it was found that Rajapaksa, along with several others have made the share purchase after securing the funds, which falls under the ‘money laundering’ category. 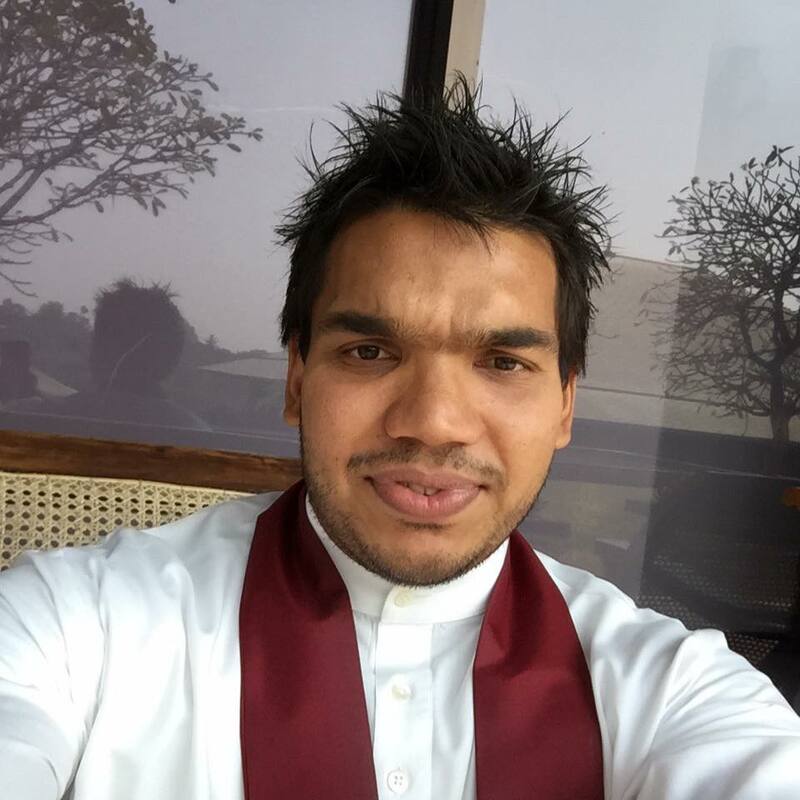 Namal, who is the eldest son of former President Mahinda Rajapaksa is currently out on bail after he was arrested by the FCID on July 11, over his alleged involvement in a financial misappropriation case of Rs. 70 million, over the Krrish deal. Get Indika Prabath Karunajeewa down from Australia. You will find all Namals money. He was Namals right hand at Gowers, NR Associayes & was Vice Chairman, Ports Authority. He had fled in fear. He was the most arrogant person at Gowers,but has fled in fear, because he is the biggest coward. Just add to the long list of crimes and killings. you have committed. We the People still wonder when you will be convinced and punished for the long list of crimes and killings. Do you want to start a Pada Yatra, and say you are innocent, and the you were following your father’s orders? Namal must be suspended from parliament until the outcome of his court hearing. Absolutely agree, but will anyone moot it? There are no standards in this country, not even in parliament. …and so should all in public life who are arrested/charged for pilfering public property. You are very right. If NR is the first accused, then the second most impotant should be Indika Karunajeewa. Indika is a master operator and a very arrogant rascal. His father who was long associated with the administrative machinery of SLFP was considered a clean man. Indika is a disgrace to his late father! Indika had stated his legal career at the Attorney Generals department as state Counsel. Therefore, he has very influencil and useful connections at the AG department and it is very likely that the AG Dept will try to supress, if not delay, the case against Indika as much as possible. The present Consul General in Melbourne, Prasanna Gamage ( He is called E mail Prasanna by his colleagues at the foreign Ministry) is a very close friend of Indika. Indika has helped this person through MR to get service extentions when in London. So he will be eternally grateful to Indika. He will provide all the necessary protection to Indika and his family in Australia. These two families are moving very closely in Melborne , it is said. Prasanna Gamage will not serve Summons on Indika saying his whereabouts are not known. This is how Indika and his family will escape the net and remember that he is a big shark and a number one corrupt buddy of Namal. This is where yahapalana is failing..they have the information..
Nimal baby, is the biggest crook in the shortest time in world history..
Why hasnt Namal been arrested yet? Let us hope that solid evidence be presented against the former crown-prince and see that he is locked up for what he did. The fear is that something in the court system will be not done properly by those who complain and he goes scot free. Then all the votes we casted to make a change goes waste. Stop bailing this bugger out prison you idiots. Only Srilankan politicians are that stupid to not know that this brat is guilty. My3 and Ran3 damn well know that this bugger is guilty ! Just “knowing” is not going to help here and unlike Rajapakses did, they both are not going to pressurize the judiciary here, we put them in charge here not for that, that regime was sent home for taking the law unto their hands. Judiciary is made independent here in Sri Lanka now, thanks to both of them and we, the masses need to watch the proceedings and justice would be done at the end. MORY3 is okay. Consider changing RAN3 to RAN0 (ra NIL…..NIL means ZERO) He can also be called HIS3 (so that there will be MY3 & HIS3 in SL. It’s not a case of politicians being stupid or not here, all cases against Namal R are being investigated now and steps are being taken to bring him under the Rule of Law. It will take time, as we all know that whole wretched family robbed the state coffers, taking all measures for not to get caught, they did not even spare their 80 year old grandmother, Daisy achchi, so one can imagine the morons’ mentality, we saw the old woman too going to the FCID to give statements. How can uneducated donkey sons get so rich without jobs and none of these sons married or have girl friends? That is exactly what is most astonishing in all the cases against the Rajapakses. Nobody seems to ask where they got the money from to make all those purchases from HelloCorp to Carlton Sports to mansions in USA and Sri Lanka. Full credit to India for asking Jayalalitha the same question behind her assets and convicting her for it. Why not, that’s exactly what this case is about and why the FCID sought permission from Courts to name Namal R as a suspect, he failed to explain from where he got the money to purchase shares of Hellocorp (now named as Gowers). You need to follow the news carefully. Thanks Tani, I read the link and Namal does provide that he bought the shares with his own earnings, but nowhere is the charge to explain where he got the money from as his own earnings of a ministerial salary does not explain it. The same charge should extend to the rest of the Rajapakse clan including Mrs. Mahinda Rajapakse as I believe the USA mansions are in her name. They have enough girl friends, who are out for a good time,but no girl stupid enough to marry any of them, with such a gruesome record behind them, from father, mother, brothers, uncles, cousins down to the grandmother who’s in her eighties, all their hands are smeared by robbing the money belonging to the poor masses here. Non of these charges will hold water in the courts of law. The crowds that have gathered at the Pada Yathra is indication of where peoples sentiments are. In the meantime the current Yahapal lot can enjoy the luxury cars and perks and handouts because Sira will be putting a U Turn very soon. Yes, you are correct. They have relatives like “Daisy Aachchi” to transfer Billions of worth of properties. They have some rich friends to invest Billions of money to start Media Network without expecting even return on Capital that they Invested. They have friendly rich Companies to grant money to take Rugby Game to the Villages such as Mahiyanganaya, Kalmune, Horana, Ampara, Katharagama, Habarana etc. etc. This time Mahinda doesn’t have to spend money to buy a New Mattress as Namal can use the Old one. Also another 2.50 Patriot, Mussamil is there to accompany Namal. There are another 2.50 Patriots such as Wimal weerawansa, his brother, Mahindananda, Gommanpilila, Rattaran will also join Namal soon. This time Namal can start “Pada Yathra” in Walikada Prison as he will have enough supporters. The sentiments of the unfortunately not so intelligent masses? Patriot, you have no idea what your name means! Patriot = 2.50 – Wimal Weerawansa + Rajapaksha’s – Gommanpilila + Wasi Deva + Dinesh Genawardana. You got the formula now Gramberg? Not only it looks like a rat, crawls like a rat, sounds like a rat and small like a rat, but also IT IS real rat! But, it still moves around, even tries to roar! Nobody seems to have the guts to trap it!!! • Detail – A valuable land named “Siribopura jungle” bought in 2013 February 2nd by deed no. 4107 located at the Hambantota district, in the Magampaththu divisional secretariat situated in the Saliyapura GS division, valued at Rs. 1.6 million. • Detail – A valuable land by the name of “Siyambalagaha Koratuwas Siyambalawatta” bought on 11th August 2014 by deed no. 4133 located at the Hambantota district, in the eastern Girawapaththuwa divisional secretariat situated in the Mawadama GS division valued at Rs. two million. • Detail – A valuable land named “Siribopura jungle” bought on 6th January 2014 bearing deed no. 4093 located at the Hambantota district, in the Magampaththu divisional secretariat situated in the Saliyapura GS division, valued at Rs. 1.7 million. • Detail – A valuable land bought on 4th January 2014 located in the Siribopura bearing deed no. 4088 in the Hambantota district, in the Magampaththu divisional secretariat located in the Keliyapua GS division, valued at Rs. 2.4 million. • Detail – A land situated in the Pennapitiya road bearing assessment number 29B in Hmbantota district bought on 2nd February 2014 bearing deed no. 13878 located in the south Girawapaththuwa in the in Tangalle divisional secretariat within the Tangalle city limits situated in Indipokuwela north GS division valued at Rs. 15 million. Detail – A valuable land located in “Siribopura jungle” bought on Jauary 6th 2014 bearing deed no. 4091 located at the Hambantota district, in the Magampaththu divisional secretariat situated in the Saliyapura GS division, valued at Rs. 1.7 million. • Detail – A valuable land located in “Siribopura jungle” bought on 6th January 2014 bearing deed no. 40XX in the Hambantota district, located in the Magampaththu divisional secretariat situated in the Saliyapura GS division, valued at Rs. 1.7 million. • Detail – A land situated in the Hambantota district bought on 13th June 2013 bearing deed no 13715 located in the north Girawapathtuwa Weeraketiya divisional secretariat worth Rs. 1.6 million. • Detail – Deposited a sum of Rs. 16 million in the Pan Asia Bank Colombo 3 in the year 2013 and 2014. • Detail – Deposited a sum of Rs. 24 million at Sampath Bank in 2013 and 2014. • Detail – Invested a sum of Rs. six million at Vallible Finance in the year 2013-2014. • Detail – Invested a sum of Rs. three million at Devot Limited in 2013 and 2014. • Detail – invested a sum of Rs. 14 million in the stock market in 2013 and 2014. • Detail – Bought “Hellocorp” in the year 2013 for a sum of Rs. 100 million. I know of only one type of “Laundry” – That which washes dirtied clothes. In this man’s case there was a big gathering to “Wash” his DIRTY CLOTHES, when he was “allowed” to come out of the Remand Prison. After that, he was “Dressed” again with washed clothes and taken in a procession named “Pada Yathra” from a “Buddhist Temple” in Kandy with “Blessings” of other religious “Clergy” on 28th July (yesterday)to reach Colombo; BUT again issued with a Court Warrant to arrest him on charges of failing to “WASH” (launder) his dirty clothes. Don’t worry. There are enough and many ;( GANG led by his own father) who would be following him to Colombo on that “Pada Yathra” to WASH his “Dirty Clothes”. They will even set up an “automated laundry” to do that WASHING in Courts premises. Let aside this “Laundering” business. I am happy if this “Pada Yathra” teaches the “Big Wig” organizers to WALK with the use of their FEET (that which provided by nature) after so many years of rollicking in those luxury vehicles bought with the “Peoples’ Money”. Hope the present Government will provide that newly introduced “Free Ambulance” service, in case these “Big Wigs” not accustomed to WALKING fall apart. JAYAWEWA “PAADADA”; sorry “Pada Yathra”. I am pleased we have laws against money laundering but I am yet to see any bigwig convicted for laundering millions. They have indeed inconvenienced the small fry. As part of my shareholding investments, a mandatory requirement is to open a Special Investment Account in a local bank. for the purpose of buying, selling and crediting my dividends. When I tried to spend money from that account on a gift I was refused, pointing to a directive from the SEC in June 2013 that stipulates money from that account could only be spent on investments unless the account holder was physically present. This is no way to attract foreign investors. that is because there is no space in the jails to put in white collar criminals who have robbed millions of rupees,because the jails are full of blue collar criminals who have robbed in thousands of rupees. Please be patient till we get a loan from china to build a modern type jail for white collar criminals only.They will have aircondition,tv,cooking facilities,conjugal visits by wives or mistresses,phone facilities,internet etc.Only thing they won’t have is the freedom to go out of the facility. mahinda,gota,namal,yositha,basil,mahendran,cabraal,mohan peiris,sajin vaas,anura senenayaka,mrs weerawansa all will be in it. check out a money changer by the name of Rushdi or Ruzdi, who used to send suitcases/brief cases of Namal’s stolen money to Australia on a weekly basis!! All you need to do is to the question the guy. There can’t be too many big time money changers by that name!! At least, Rajapaksa family has this two word sequence. But, the people are kept in a consistent spot: taken for a ride! For people like Namal stealing 45 million is political revenge but when an ordinary man who does not have any ‘mass support’ taking a bribe of Rs100 is a serious offense and he has to go to jail. These buggers are real crooks calling them socialists. The problem is there are many fools such people could trick and get support and the crowd they collected in their pada yartra is the solid proof. What about the SOB’s involvement in the unsuccessful Commonwealth Games bid at St. Kitts, whwre he Cabraal, Aluthgamage, and Anarkali busted 8 million dollars of government money for nothing. Even women were taken to be given as bribes to buy African votes.More than 150 people were taken in a plane. Bloody rascal should be castrated. We have been hearing these empty and exaggerated allegations for far too long. Just convict him for one – not for walking a dog using an army officer or for buying a property in Saliyapura GS division for Rs. 1.6 million (which is chicken feed), but for something big like “Receiving a bribe of Rs. 157.5 million from Shrangrila Hotel project”, then we will believe you. I doubt whether the empty vindictive heads behind this Government are competent enough to do so. MAHINDA DID NOT KNOW WHAT A LAKH WAS AS HE OR HIS FATHER HAD NOT HANDLED THAT KIND OF MONEY.THE FATHER IT IS SAID WAS AN HONEST HONOURABLE MAN. CARLTON WAS THE HOUSE OF CROWN PROCTOR WICKRAMASURIYA AND MANY THERE SAY THAT M R WOULD HAVE TAKEN ON RENT FROM HIS SON WHO WAS IN SINGAPORE NOW DEAD ON RENT AND LATER PLAYED OUT.WHATEVER THAT BE ITS TODAY MADE INTO A PALACE WHERE BILLIONS WOULD HAVE BEEN SPENT. SO WITH MEDAMULANA . NAMAL WAS A SCHOOL BOY A FEW YEARS AGO HOW DID HE AND THE BROTHERS COME TO HANDLE BILLIONS. FCID MUST PROSECUTE AND GET THIS MONEY AND SEE THAT THESE RASDCAL SARE SENT TO JAIL. THEY WALK IN THE HOT SUNSHINE ON A CROOKED PATH.